While a big part of participating in scientific meetings is to hear and share new discoveries, in today’s world, going to conferences for this purpose is not required as most of this information is all a click away. For me, the main reason to go to Conferences is to meet and interact with people – you know, that whole “Community of Minds” thing! I don’t know about you, but I find reading literature much more exciting and interesting when I recognize at least one of the authors’ names and can put a face to that name. Even better if I’ve had a chance to talk with them over lunch or coffee. 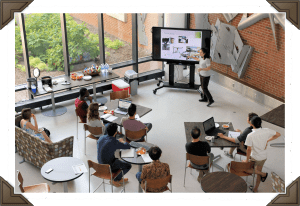 Conferences provide great opportunities to meet the people in your field, and maybe a bit removed from your field, to have informal conversations – many times over food – about the various aspects of science. Hmm, sounds a lot like The Pub Club! That’s because the whole purpose of The Pub Club was to bring this “Conference Effect” home on a regular basis. However, just like our weekly TPC Gatherings, you only get out of a Conference what you put in. If you simply show up, poster in hand, you run the risk of returning home with little but sleep deprivation to show for the experience. To help avoid this, the local MSU Community of Minds (COM) we call The Pub Club is working together this June to develop a Networking Strategy and hone our Communication skills with Conference Season in mind. For those who cannot attend – either due to scheduling conflicts or geographical difficulties – we will be sharing these tips with you through a series of posts. This post series is an expansion of the post I wrote for ASPB’s Plant Science today blog last year in preparation for the Plant Biology 2016 meeting (Click Here to read). Dictionary.com defines the noun Network as “an association of individuals having a common interest, formed to provide mutual assistance, helpful information, or the like” and the verb Network as “to cultivate people who can be helpful to one professionally, especially in finding employment or moving to a higher position.” To me, this sounds a lot like a Community of Minds, so my definition of Networking is building and cultivating a Community of Minds. I know, I’m really stuck on that concept! That is because I have witnessed first hand, both personally and with those in our group, the power a COM has to make a positive difference. 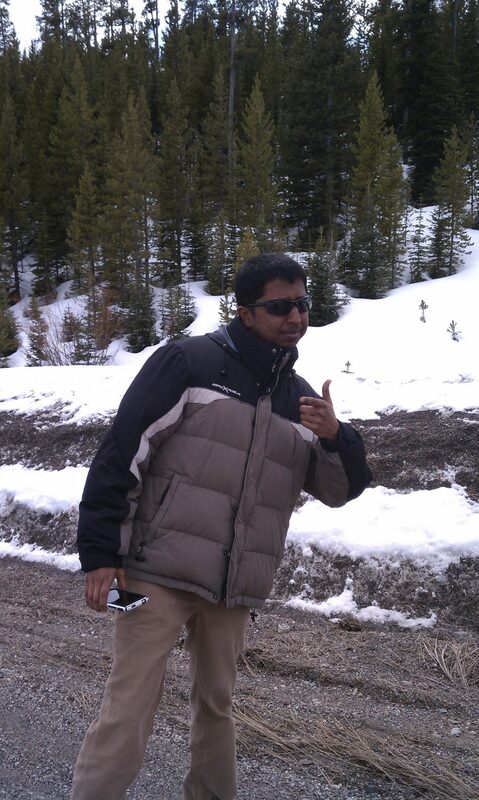 2013 Keystone – Made a new friend, Gautam… who knew where this would lead? 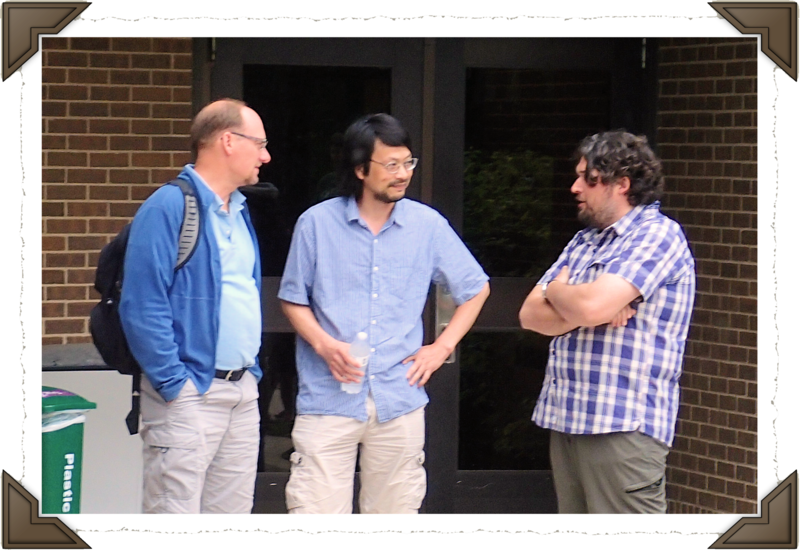 06/05/15 – Emanuele Scacchi (Right) chats with Gregg Howe & Sheng Yang He during visit with The Pub Club. One of my favorite personal examples began at the 2013 Keystone meeting in Big Sky, Montana. 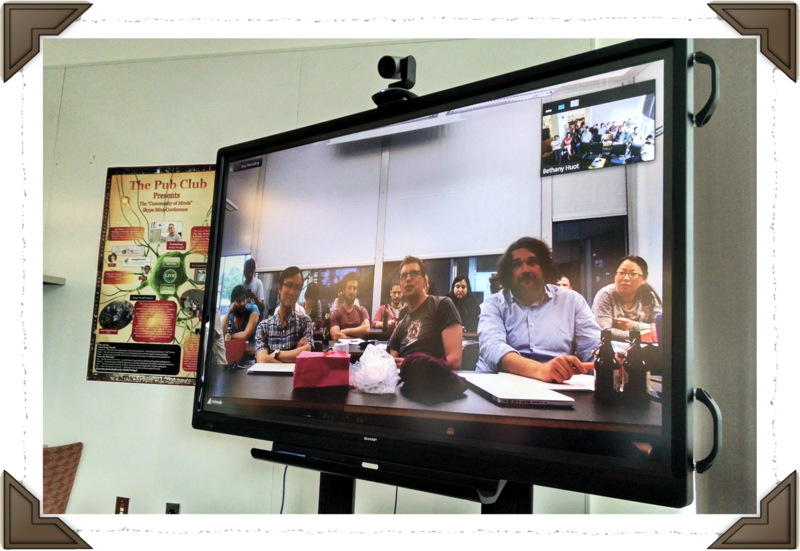 I met quite a few people at that meeting, but two turned out to have a long-term impact on both me and my local research community. The first was a guy named Gautam Shirsekar, who was a graduate student at Ohio State at the time (sorry, Gautam, I refuse to use “The” Ohio State). The second was Detlef Weigel, who I initially met by accident – he asked if he could sit next to me at breakfast one morning – but later sought out for advice on a particular aspect I was considering for my dissertation research. Using me as the “buddy” system, Gautam asked me to introduce him to Detlef, which resulted in Gautam joining the Weigel lab as a post doc. In 2014, I had the opportunity to visit Weigel World in Germany, share my research with them, and talk with many of them about their research. Emanuele Scacchi was one of those people, and was looking for technical expertise one of my lab members happened to have. After connecting the two, Emanuele came for a short visit to do some experiments in our lab. 04/26/15 – Arabidopsis Hunters heading out! 05/13/16 – The Pub Club meets Weigel World. So, through intentional cultivation, what began as a couple of “chance” interactions at a conference developed into a long-term, interactive scientific relationship that enabled several collaborative efforts. This is what Networking is all about! It is more than just saying hello to a few people once and walking away. It is also more than standing by your poster and hoping for some interesting people to come by. Once someone does stop by, are you prepared to engage them in a way that will make a positive impression? Once that impression is made, how will you follow through to begin building a professional relationship? Remember, to gain that “association of individuals” that “provides mutual assistance,” you must “cultivate people who can be helpful to (you) professionally.” In other words, Networking requires intention and effort over time. While there are many tools at our disposal for building & cultivating a Community of Minds, the key to doing it successfully is to be intentional and strategic. For example, in the process of developing my ideas for a scientific career following graduation with my Ph.D., I invested time in exploring the area of science education research. When I heard Erin Dolan would be coming to MSU to give a seminar on this topic, I made sure to sign up for the grad student/post doc lunch and also attended her talk. I was so excited by the approaches used and positive outcomes of UT Austin’s Freshman Research Initiative (FRI), I wanted to learn more. The following summer I was going to the Plant Biology conference, which happened to be in Austin, Texas, and so used LinkedIn to contact Erin to see if she would have time to meet with me while I was in town. As it turned out, she was moving on from UT Austin, but connected me with Stacia Rodenbusch, who was taking over as Director of the FRI program in her stead. 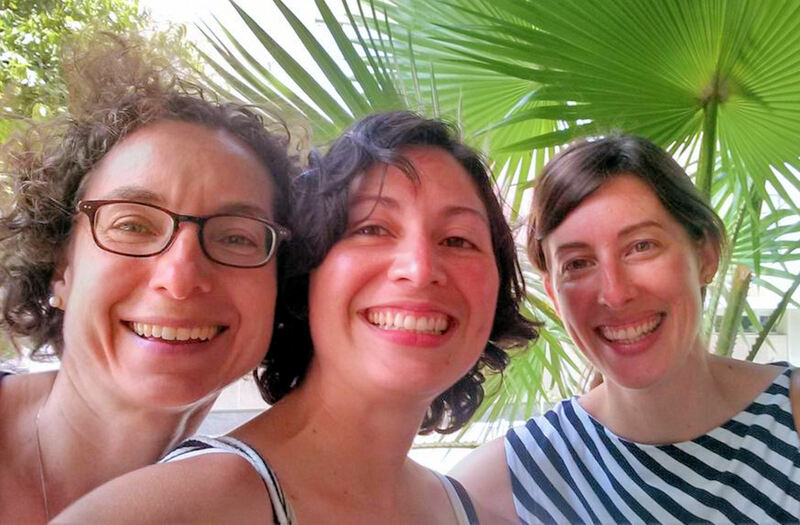 07/12/16 – Left conference to meet with Eva Farre & Stacia Rodenbusch to talk FRI_UT, STEM Ed and The COM. Stacia agreed to meet with me, and we had a great conversation over lunch that July. Later, at my request, Stacia connected me with Sarah Simmons, the FRI program founder who is currently Assistant Director of Science Education at the Howard Hughes Medical Institute (HHMI). Sarah and I were able to chat via Skype about my career goals and potential strategies to work towards them. Each of these women shared my passion for transforming higher science education, and were willing to take time to talk with me and help me along my career path simply because I asked. The tools I used varied, but the intention remained the same – find people who share my passion and connect with them. The strategy involved was that in talking with people of shared interests, I might gain insights that would help me navigate a somewhat nontraditional career path. To be very clear, by “intentional and strategic” I do NOT mean a calculated/contrived approach that only prioritizes people seen as “important.” One reason I like to view Networking as Community building is that Networking can be seen as completely self-serving. “Who do I need to kiss up to to help me get ahead?” This is not at all what it should be about. A calculated approach does not give room for the chance meetings described in the “What is Networking” section. As this example showed, we can never predict, and so should not underestimate, the positive outcomes of “chance” meetings. Also, as I shared last year in a post on Conference tips, you never know who will be “important” 5 to 10 years from now, so do not limit yourself this way. A good rule of thumb is to seek out and build connections with people who have shared passions and values as you. Then, let the positive outcomes surprise you! If you replace the word with its definition, I think the question answers itself! “Why cultivate people who can be helpful to (me) professionally” to form “an association of individuals having a common interest,” that provides “mutual assistance and helpful information?” As explained in “About The COM,” the purpose of Community is to help each of us escape survival mode and enjoy what Aristotle called “the Good Life.” Of course, a Community is built on the premise that each member is an Active Participant – both giving and receiving. I truly believe that the return you receive from your COM increases as your investment in those within your COM increases. This may happen in ways you cannot see immediately or predict ahead of time, but it will happen. In some cases it may be that someone you help today helps you tomorrow. In other cases, it is the act of giving that is itself the return. Still not convinced? Let me leave you with one more example. 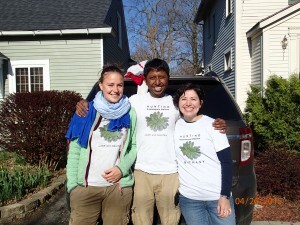 Many of you may be aware of an amazing member of our plant science community, Mary Williams. Mary is a sort of nucleating factor for our community in that she is present at multiple conferences each year (to me it seems like all of them! ), actively engages and brings people together through social media, and tirelessly shares useful resources from everywhere she finds them. Last year, I decided to share my Community of Minds concept at the conferences I attended. My hope was to provide others in the greater Plant Science Community with access to this concept so they could benefit from its application as I have. I reached out to Mary, who I only knew through Twitter at the time, to see if she would be willing to co-host a meet-up with me at the 2016 Plant Biology meeting. She replied she would be happy to, and joined me along with Phil Taylor. 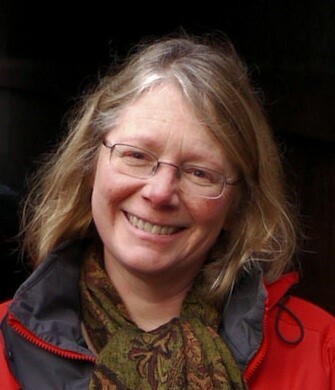 Over the last year, Mary has helped increase the visibility of my efforts by Tweeting posts and resources from my website and also re-posting on Plantae and ASPB. She also was gracious to take time out of her very busy schedule to write me a letter of recommendation for a job as well as write a testimonial for our 100th Commemoration (Click here to read). This year, I have the pleasure of joining Mary and several others in leading a SciComm workshop at the 2017 Arabidopsis meeting (ICAR, click here for more information). While the long-term outcome in terms of a job, funding, or recognition from “important” people is unknown, just having this one person in my COM has brought inspiration and validation to my efforts. To me, that is sufficient reward on its own. In conclusion, the benefits of building and cultivating a Community of Minds are endless. The sooner you begin, the faster you will experience them for yourself. When you do, we would love to hear how. You can share your personal stories using the Comment box below, or by joining our online Community and submitting a post (which we can share via Twitter!). To read more about ways to build your COM using Twitter, check out the next post in our Conference Prep Series: Tweetiquette.